Recognized for her ability to create extremely personal and bold looks that always tell a story, stylist Laura Duncan has been a mainstay in the industry for almost 8 years. Laura was raised in Palm Springs, California, and she spent her teenage years traveling around Europe as an exchange student. Upon her return to the United States, Laura went onto earn a degree in fashion design from the Otis School of Art and Design, in Los Angeles. Through her extensive travels and education, Laura was inspired to pursue styling even further, and she eventually moved to Paris to continue developing her skills by working with editors from publications like Italian Vogue and Numero. It was during these years that Laura developed her bold, confident aesthetic that has led to work for Elle, Vanity Fair, Esquire, and Rolling Stone, amongst many others.  Laura has always appreciated the idea of storytelling through clothing, and she is known for her ability to see a concept though, from beginning to end. Always looking for a new challenge, Laura finds it extremely stimulating to try and create looks that suit unique personalities. This understanding of individual tastes, combined with her own daring fashion instincts, has made her a favorite of major personalities like Britney Spears, Pink, and Dita Von Teese. Laura also finds great creative fulfillment in the collaborative nature of styling, and she is always eager to work with new, exciting people in the industry. She lives for the moment when everything comes together on set, and her energetic, positive mindset have led to numerous advertising campaigns for companies such as Showtime, Bebe, and Sony among many others. Laura currently splits her time between New York and L.A.